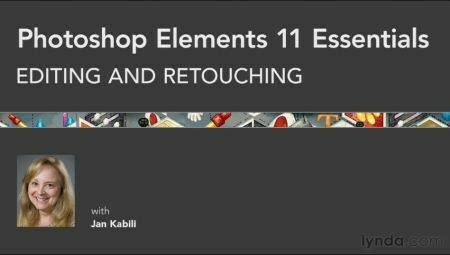 Lynda.com - Photoshop Elements 11 Essentials 02 Editing and Retouching Photos with Jan Kabili | Free eBooks Download - EBOOKEE! Posted on 2014-04-04, by minhchick. Go beyond the automatic editing features in Adobe Photoshop Elements and find out how to make sophisticated edits using the program's Expert Edit mode. In this course, author, teacher, and photographer Jan Kabili explores the core features of the Expert Edit mode, from making exposure adjustments, retouching, and compositing images, to adding text. The course also takes a close look at adjusting photos with Adobe Camera Raw, included with Elements 11. No comments for "Lynda.com - Photoshop Elements 11 Essentials 02 Editing and Retouching Photos with Jan Kabili".